The range of free online and downloadable software from Schöck is among the most comprehensive in this market sector. It offers wide-ranging support to the design process for product selection, thermal analysis, structural analysis and BIM services. 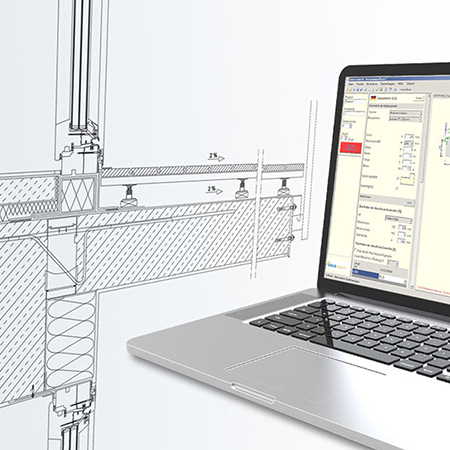 One of the most recent developments is calculation software for the Isokorb in steel-to-concrete connectivity solutions. As a result the vibration behaviour of a structure is taking on more importance. 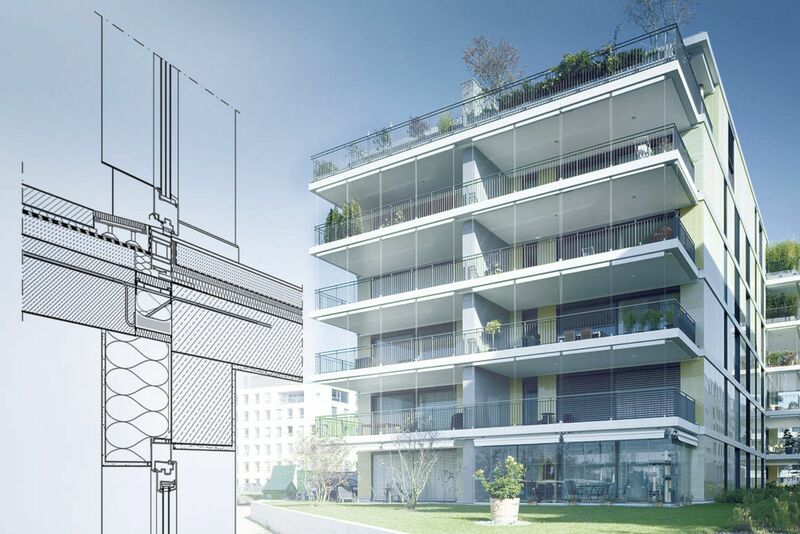 The Building Regulations Part L define the limit values for thermal bridges, but Eurocode 3 specifies the required verifications – such as for vibration – in serviceability limit state. Because vibration is considered to be a serviceability issue and the perception of discomfort varies from one individual to another, no precise limit can be imposed that will satisfy everyone – acceptable vibration is therefore not straightforward. Deformation, deflection and vibration must be limited to avoid exceeding certain serviceability limit states. These include adversely affecting the appearance, or effective use of the structure; vibration, oscillation or sway, which may cause discomfort to the occupants of a building; and even possible damage to finishes or non-structural elements. 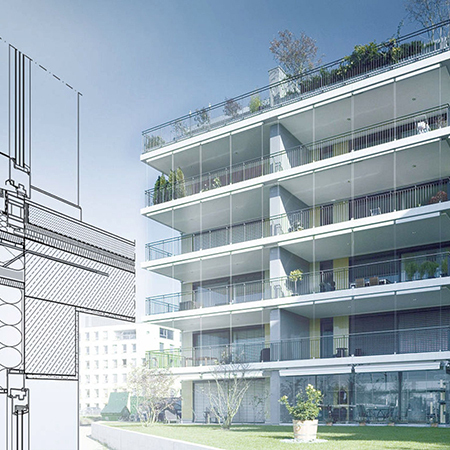 The software calculates the natural frequency of thermally broken steel balconies by using numerous geometric and material variables and enables a check on the vibration serviceability of the whole balcony system. The recommendation from Schöck is to limit the natural frequency to a minimum of 7.5 Hz. This assumes that the balconies are subject to dynamic actions caused by extreme use, such as someone jumping – resulting in excitation frequencies of up to 3.4 Hz. It is recommended to allow for double that excitation frequency and then add a further safety margin of 10%. Which results in a recommended minimum natural frequency of 7.5 Hz. There is an online thermal bridging calculator available too, which enables planners to produce substantiated thermal bridge analysis in a few simple steps. The calculator computes two-dimensional heat flows, isothermals, temperature factors, surface temperatures and psi values (ψ values). This provides architects, structural engineers and building physicists with all the required information to produce a detailed thermal bridge analysis and comply with part L regulations. Psi-values can then be used for detailed SAP analyses to provide further benefits in energy assessments. The results log contains all relevant properties relating to the building structure. To support the continuing move towards BIM in the UK, special object libraries and plug-ins have been developed. These meet BIM maturity level 2 compliance, which is the method of working set as a 2016 minimum target by the UK government for all public sector work. 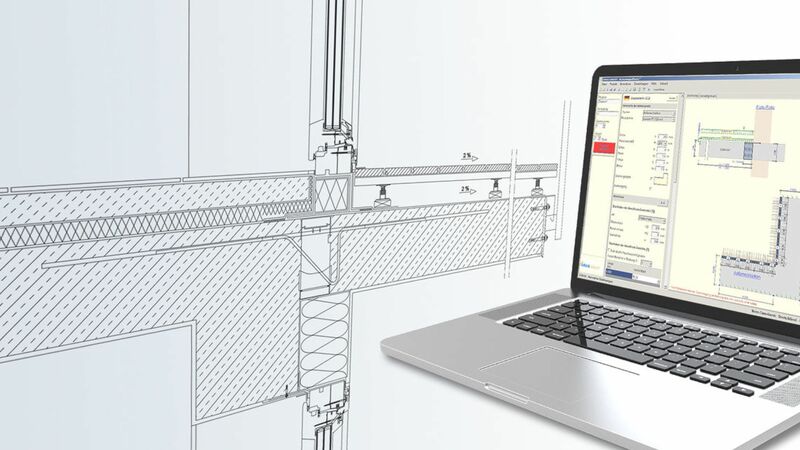 At present, these libraries are available for the standard Schöck Isokorb product portfolio (concrete-to-concrete, steel-to-concrete and steel-to-steel) for Allplan, ArchiCAD and Revit CAD systems – with Tekla to follow. The plug-ins provide two levels of detail. One for preliminary planning (objects can be converted into more detailed objects at a later stage, without having to manually recreate them) and one for execution planning. The libraries in the native BIM software formats focus on performance and are parametric to allow for easy adaptations during the project stages. The 3D objects allow for clash detection and detailed reinforcement design, ensuring completely effective project procedure during design and execution. As the creation and management of information is so central to BIM processes, the objects include all relevant information that allows for automised product schedules.